Always watch children when they’re in or near water, and never leave them unattended. Designate an official Water Watcher, an adult tasked with supervising children in the water. That should be their only task – they shouldn’t be reading, texting or playing games on their phone. Have a phone close by at all times in case you need to call for help, and if a child is missing, check the pool first. 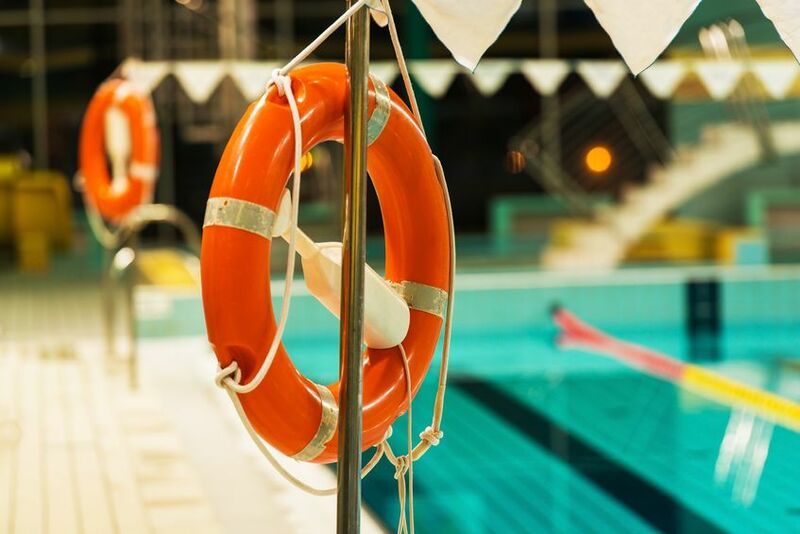 Even if a lifeguard is present, parents and caregivers should still take the responsibility of being a designated Water Watcher. When any lifeguard chair is empty, the remaining lifeguards may not be able to see the entire pool and when lifeguards are seated in low chairs, their view can be blocked by patrons in the pool. Swimming is not only fun, it’s a lifesaving skill. Enroll children in swimming lessons; there are many free or reduced-cost options available from your local YMCA, USA Swimming chapter or Parks and Recreation Department. Do not play or swim near drains or suction outlets, especially in spas and shallow pools, and never enter a pool or spa that has a loose, broken or missing drain cover. Children’s hair, limbs, jewelry or bathing suits can get stuck in a drain or suction opening. When using a spa, be sure to locate the emergency vacuum shutoff before getting in the water. Virginia Graeme Baker, after whom the Pool and Spa Safety Act is named, died from drowning due to a suction entrapment from a faulty drain cover. All public pools and spas must have drain grates or covers that meet safety standards to avoid incidents like the one that took Graeme’s life. Powerful suction from a pool or spa drain can even trap an adult. Proper fences, barriers, alarms and covers can be lifesaving devices. A fence of at least four feet in height should surround the pool or spa on all sides and should not be climbable for children. The water should only be accessible through a self-closing, self-latching gate. Teach children to never try to climb over the gate or fence. Install a door alarm from the house to the pool area, and keep pool and spa covers in working order. Often, bystanders are the first to aid a drowning victim, so learning CPR can help save a life. And once you’re CPR certified, make sure to keep your certification current. CPR classes are available through many hospitals, community centers, or by contacting the American Red Cross.